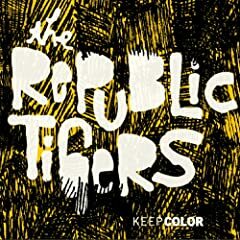 They’re from Kansas City, Missouri and their lead singer, Kenn Jankowski, used to front The Golden Republic. This is their debut. It’s midtempo melodic pop/rock, definitely has Britpop influences. It’s pleasant; not the most profound album by any means, but nice to listen to and relax. This entry was posted on May 21, 2008 at 9:01 am and filed under TheSlacker. You can follow any responses to this entry through the RSS feed.